I took the Greek God to Jersey last week. 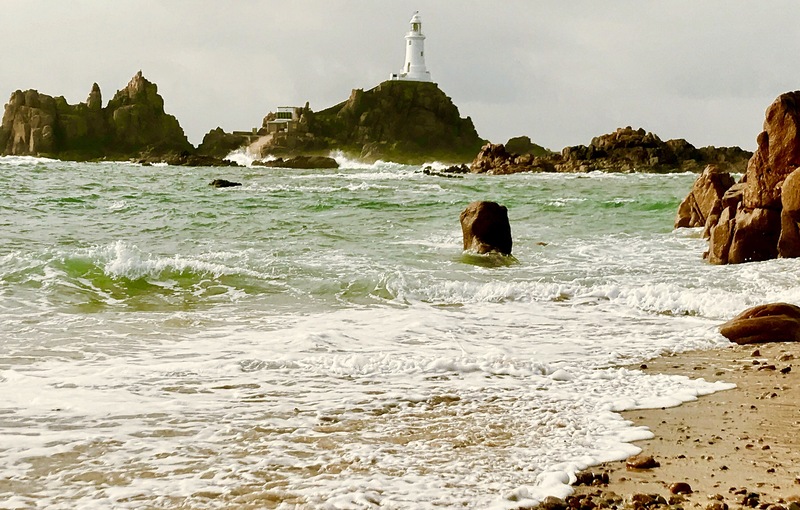 Proper Jersey; the rock off the coast of France, rather than that newfangled American one. My home, and where most of my family still are. My life in Blighty remains a mystery to Dad. Well into his 80s, life revolves around the minutiae of his own little patch of that small island. He relays the tiniest details of his neighbours’ lives… what they’ve had for dinner, who they’ve fallen out with. In return, I tell him about my life. By phone. He doesn’t do Facebook. Nor email. Internet? Nah, that’ll never catch on… So phone it is. And phone would be fine but he’s stone deaf. Conversations are punctuated as his hearing aid screams at crucial moments. But I persevere. I explain how street food works; alongside our Greek there’s South African, French, Venezuelan food… I tell him tales far removed from his newspaper-reading spot at Corbiere where the waves crash and seagulls wheel. Er, no… I explain souvlaki, again. In person. It’s Greek food; I bake pittas – LOTS of pittas – in my little kitchen before we go to fantastic food festivals all over the place, selling our wares. I tell him of the long queues, of famous chefs, of mad punk band revivals we’ve catered. He nods. “Ah, right,” he says. I bump into a friend a few days later. Ah bah crie, as us Jersey beans say. It’s another world, eh? This entry was posted in Uncategorized and tagged Jersey life, parents, street food by Jen. Bookmark the permalink.